I've Got Denise Mina Covered! Once again, here I am-- the novice book cover critic-- with another two covers for the same crime fiction book. One cover is from the US publication of the book. The other is from the UK publication. Why do I do this? Because I like to compare. It's the same book... is there anything the publishers on either side of the pond saw in the same way? Or are the two covers so completely different that you'd never dream they were for the same book? This week I've chosen another favorite author, Scotland's Denise Mina. The book is her latest Alex Morrow book to be published here in the US, The Red Road. All righty then! They're just a tiny bit different, aren't they? The US seems to have taken the title at its word. 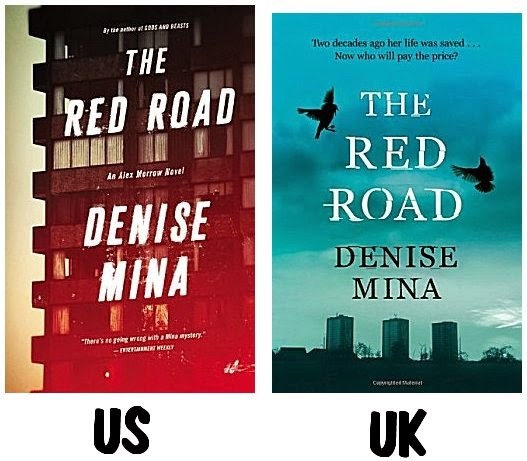 The US cover definitely has red, even though there's nothing about a literal road on it. I think the road is more of a figurative one. That tower block of apartments doesn't look like anyplace that I'd want to live. In fact, it looks as though a few tenants might have jumped out of the windows. And although that tan border running vertically along the lefthand side just puts the building in relief, to me it looks like one of those cheap plastic spiral bindings on a training manual. Have you ever had one of those things? It's almost impossible to turn the pages properly in something with a binding like that. The US cover completes the picture with a mention of the previous book in the series, the title, the author's name, and a quote from Entertainment Weekly to let us know what a good writer Mina is. (She is. EW isn't gilding the lily.) All in all, the US cover is rather bleak and utilitarian-looking. On the other hand, the UK cover could almost be called pretty, especially if you love the color blue (as I do). There are a couple of crow-like birds dive-bombing the title, and a cityscape. Since Mina is extremely well-known in the UK, there aren't any quotes to tell us how good she is. Nothing telling us what the previous book in the series was. I think the UK publisher is taking it for granted that you're already going to know all this. In fact, I'm slightly puzzled about one thing. Denise Mina is a popular crime fiction writer in the UK. Why isn't her name above the book title? Is it because the story she's written is more important to her than fame? I wouldn't be at all surprised. Now to get down to the nitty gritty. Which cover do I prefer? The UK cover is almost too pretty, if you know what I mean. The subject matter isn't pretty. It's grim and dirty and ugly. 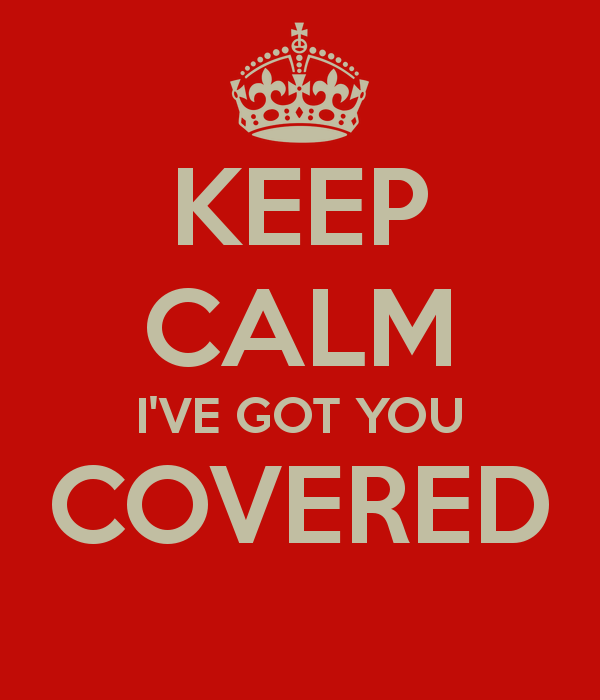 So... although blue is my favorite color and the UK cover is appealing, my vote is going to the US cover. It's grim and utilitarian and a bit ugly. The US cover may not be pretty or appealing, but I think it gets the story across better. What about you? Which cover do you prefer? The US cover? Or the UK cover? Inquiring minds would love to know! I agree with you, Cathy, that the UK cover is more visually appealing and attractive. But I like book covers to reflect what's in the book, too. Hmmm....difficult, but for me, the US cover. It wasn't an easy choice for me either, Margot! I also agree that the UK cover is bit too pretty. However, that one bird on the left - kind of scary looking - beak and claws. Plus I like the little blurb on the UK cover as opposed to the EW quote. So, for me, the UK cover, by a nose or a beak. I don't know about "like" but I think that the U.S. cover is more appropriate to the story inside. I also love blue and aqua as colors, but I think the red color goes with the title more. I would have thought there would be a road on the cover, but apparently not. I read the book and the bleakness of the lives inside it goes with the U.S. cover. The U.K. cover is too pretty, as was said. Anyway, Denise Mina is one o my top authors, although the fiction is sometimes so gritty and harsh. That doesn't take away my appreciation for her intelligent stories and writing. Mina is a storyteller. That she can turn grit and ugliness into compulsive reading shows just how talented she is.